The SP-250 incorporates two drivers with a ported design. This ensures high performance with excellent bass response. In addition, the ported design allows for better efficiency and greater dynamic range. We spent many hours designing and testing various configurations until we found the optimum combination of performance while not breaking the budget. The SP-250 series outperform most speakers costing twice as much. With Roemtech, you get maximum performance at a reasonable cost. Power handling at 40 watts per speaker gives you the headroom you need without worrying about damaging your sound system. The SP-250’s are actually designed to handle harsh outdoor environments. This means that even in the toughest of conditions, high heat and humidity won’t leave you with compromised speakers when it’s time for them to perform. The SP-250 speakers come with easily installed mounting brackets. Since no ceiling tiles need to be cut, the speakers can be installed with little or no clean-up, saving time and expense. 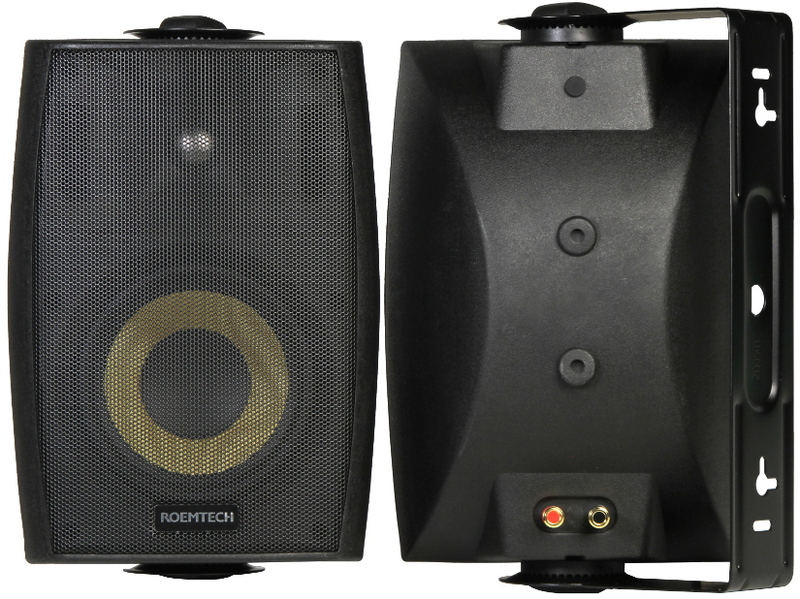 In addition, with Roemtech’s quick installation brackets, the speakers can easily and quickly be mounted to point in any direction. With a wide dispersion angle of 120 degrees, the audience will always hear the audio program the way it was intended.